Dr. Beard has designed a daily supplement that is much much more than a multivitamin, it is a foundation for good health. 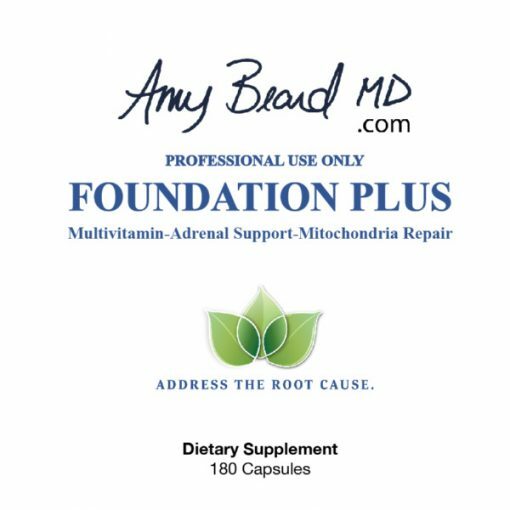 The Foundation Plus Multivitamin is a combination of bioavailable vitamins and minerals PLUS adrenal, detox and mitochondrial support. It’s what Dr. Beard takes everyday and is an exceptional value. A full-spectrum, bioavailable source of vitamins, minerals and antioxidants. 3rd party tested to ensure quality, purity and potency. Contains additional adrenal support (Ashwagandha, Eleuthero, Rhodiola and Schisandra extracts) to combat daily stressors, which is great for everyone and is suitable for all stages adrenal dysfunction. Contains additional mitochondrial support nutrients to optimize energy production. 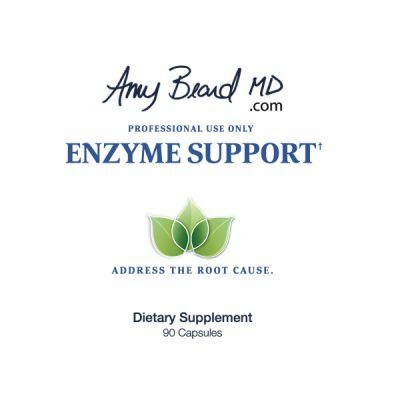 Provides therapeutic amounts of alpha lipoic acid, NAC, CoQ10 and other key nutrients to support the body’s natural phase 1 and phase 2 detox pathways. A good source of L-carnitine and Coleus Extract to support the utilization of fats for energy which is great for those following a ketogenic diet. Free of soy, gluten, dairy, egg, artificial sweeteners and preservatives, and is AIP and Paleo friendly. Even with a good diet, it’s easy to develop nutrient deficiencies. The nutrients in our soil are not as abundant due to modern farming practices, thus neither are the nutrients in our food. The foods we eat today have been bred to be larger and have a longer shelf life, which has also lowered the nutrient content compared to the heirloom versions we use to rely on. Life is busy and stress increases your nutrient needs. Always. We are exposed to more toxins now than ever, and it takes NUTRIENTS to support the detox pathways. I’ve made sure the Foundation PLUS Multivitamin is top quality. We vetted many companies to select a trustworthy compounder to assemble this supplement per our design. Our multivitamin is 3rd party tested, ensuring quality, purity and potency. 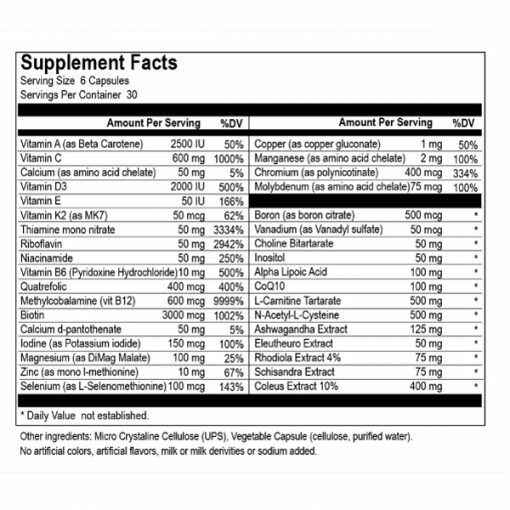 There are no artificial colors, sweeteners, etc in this multivitamin, and it contains very minimal filler (A small amount of filler is required to mix nutrients together). Bioavailability of nutrients is my top priority. 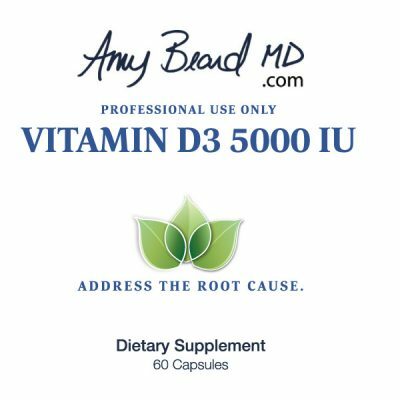 I formulated this multivitamin myself, selecting the most bioavailable forms of nutrients, including vitamin D3, K2 and methylated B-vitamins. 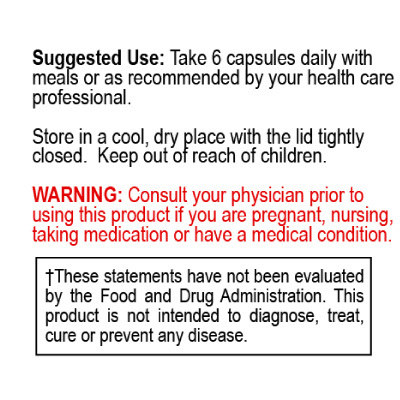 Our 6-capsule multivitamin with minimal filler is evidence that there’s a LOT of nourishment packed into this product. Stress happens. We could all use adrenal support. Adrenal support is not just about your adrenals. Properly functioning adrenal glands are also needed for GI function, hormone balance, thyroid function, immune balance and mitochondria function. This level of adrenal support as a separate supplement would be expensive and many would avoid the extra cost. I included it in our formula because it’s that important. Everyday our bodies encounter toxins and work hard to eliminate them. Our bodies are exposed to more and more chemicals and toxins every year. 50,000 more in the last 60 years. Optimal nutrient status plus supplements like NAC and Alpha Lipoic Acid aid in the detox process. That’s why we included them as part of your daily supplementation and not a separate supplement. Happy Mitochondria = Happy Life. They are the powerhouses of your cells. COQ10, L-Carnitine, Alpha Lipoic Acid are important cofactors for mitochondrial enzyme function. Wants to obtain optimal amounts of the nutrients their body needs to thrive. Wants to support healthy adrenal function and the body’s response to stress. Wants to support the body’s natural detox pathways. 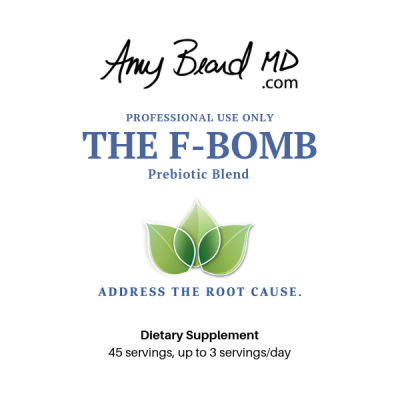 Wants to promote normal methylation. Doesn’t eat enough organic fruits and vegetables. Suggested Use: Take 3 capsules with breakfast and 3 capsules with dinner. DOES NOT CONTAIN: Gluten, wheat, dairy, corn, soy, peanuts, tree nuts, GMOs, yeast, artificial flavors or sweeteners. This product was produced in a facility that may contain these items.